Separation and divorce can be a traumatic time for children. Divorce brings many changes and they are changes that are hard for a child to understand. Divorce also hurts parents and can make them feel unloved and stressed. It’s difficult to meet a child’s needs when mum or Dad’s energy is consumed by the hurt of divorce. 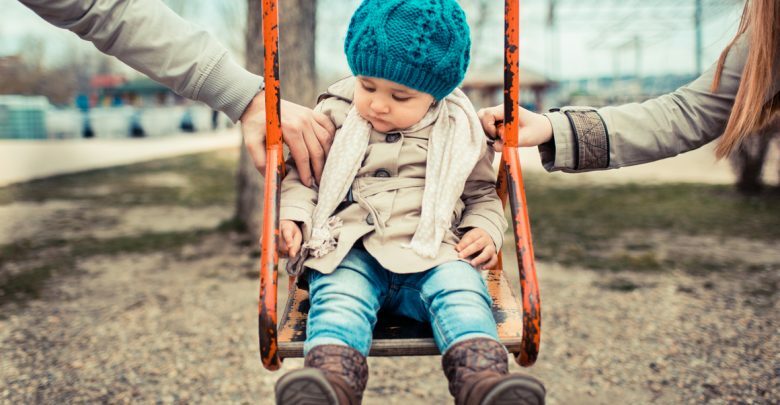 This article provides divorced or separated parents with an overview of how divorce affects children and what they can do to help their child feel loved, safe and part of a caring family. Today nearly half of all marriages will end in divorce. And this figure obviously doesn’t include those couples who still remain together despite their marital dissatisfaction. The majority of divorces occur within the first 7 years of marriage (Cherlin, 1981), and the average age when a person divorces is between 25 and 34. The time marriages appear to be most at risk is during the transition to parenthood – before and soon after a baby is born. With the birth of a child, the majority of couples report a significant decrease in marital satisfaction, especially for the mother. This decrease in marital satisfaction contributes to relationships ending in divorce. The high rate of divorce leads to more children living in single parent families. It is estimated that 40 to 50% of children born in the last 15 years will experience their parents separating by the time they turn 16 years of age. Following divorce about 85-90% of children live with their mothers in a single, female headed household, and have some type of access to their nonresident fathers. It is estimated that up to 40% of children will live in a step-family before they reach the age of 18. The divorce rate in step-families is even higher than in fi rst marriages – 10% higher. Divorce usually leads to a sharp decrease in father involvement with the children. One study found only 17% of fathers absent by divorce maintained regular contact with their children. So to deal with the misbehaviour parents need to deal with the emotion, not the behaviour. Once the emotion is healed the undesired behaviour will stop. Are they angry, sad or fearful? Remember their behaviour is simply a symptom of this underlying emotion. But your child’s behaviour helps you identify what they are feeling. (understanding) comes easy when you see the world through your child’s eyes. It’s perfectly natural and normal for any child to want to be with their absent parent and to miss them. Help your child use words to express how they feel. 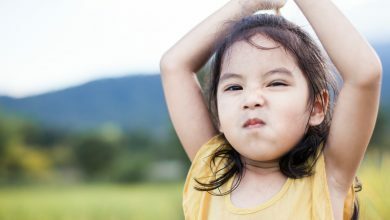 Research show that children who can label their feelings calm down much quicker. Help your child express their feelings. Drawing, playing, making up stories are good ways to do this. There are some excellent books for children that deal with divorce. Read the story and talk about it. While some mothers do abandon their children, it’s rare. But it’s not rare for dads to withdraw from their child’s lives. If a dad has no meaningful contact with his child, how does a mum explain to her child the absence of dad? Children ultimately realise other children have dads, and if they don’t have one they will ask where their dad is. This can make it very diffi cult for mum, particularly if dad is irresponsible and refuses to have anything to do with his child. Share with your child openly and honestly, and in a positive way, about who dad is. Don’t criticise dad even if he is irresponsible! Dad will always be your child’s dad so your child needs to know who he is and that they can trust you. Now take this step of faith . . . Tell your child, “Daddy loves you, but can’t be with you at this time. One day he will come and see you.” Such a statement might appear untrue, but in my experience, most absent dads reunite with their child at a later date. When children get older they go seeking their absent parent; it’s a necessary part of discovering who they are. So while saying that one day dad will come and see you seems highly unlikely today, it’s not if you take a long range view. Children must never feel abandoned. While it might seem perfectly right to share that dad is a ‘dead beat’ father, and doesn’t care about their child, that will be terribly scarring for a child. It also creates a life of fear for your child. Abandonment attacks a child’s sense of security. The hurt from such abandonment would cause pain that no amount of love from the present parent would compensate for. Reassure your child that mum will always be there. Everyday in a thousand ways show your child how much you love him or her. One involved parent is far better than two uninvolved ones! Within every child is the need to belong. Divorce threatens this need in powerful ways. Knowing that divorce can scar a child, your goal should be to gain insight and understanding into what is happening within your child. Then connect with your child at an emotional level to help them feel understood. This helps children cope with the trauma and minimises the scars. Parenting alone is not ideal and it’s not easy. But it’s also the beginning of a new you. And on this journey you’ll discover many positive experiences. There are no magic routes to success. But there are insights and understandings that will give you hope as you parent your child. For further information about how to help your child cope with the separation stress of divorce see our intervention. Quality Time or Quantity Time: what's most important?